Kelley appeared in nine games this season, throwing for 455 yards, five touchdowns, and five interceptions. He added 73 yards on 28 carries with three touchdowns on the ground. 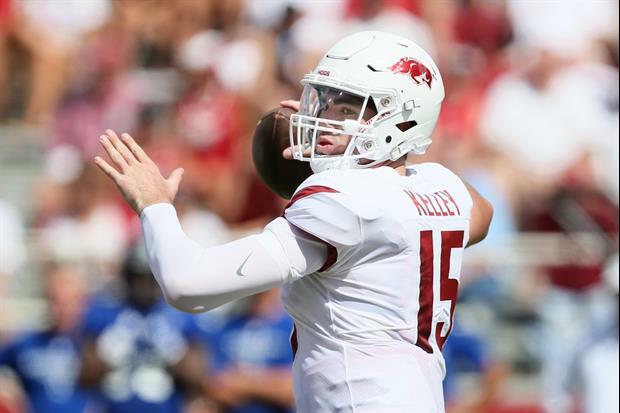 He began the season as Arkansas' starting quarterback but was replaced by Ty Storey just three weeks into the year. He could play in front of his homies at USL. Uhhhh, "always a Hog" ? As you're packing your bags to de-Hog yourself ? Contradiction ? He's from Louisiana. He can't help it. Once a Hog always a Hog? Apparently not.